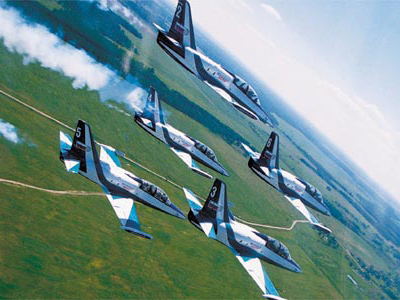 The final day of the MAKS International air show was to be marked by spectacular airborne displays of the world's finest aircraft and pilots. However, nonstop rain around Moscow caused a serious change of plan. The sun which had thus far shone on Russia’s aviation showcase was nowhere to be seen as MAKS-2011 reached what should have been its climax. Rain swept in to dampen the spirits of spectators who had flocked to get a glimpse of the wares on display. The soaking prompted hundreds of them to turn tail and make a dash for the exits where shuttle-busses were waiting to whisk them to nearby railway stations. 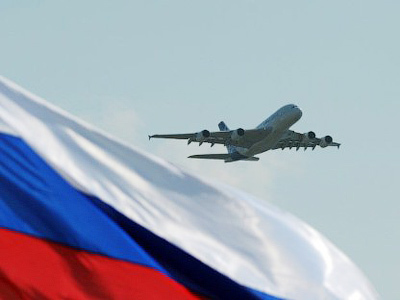 Chief among the attractions on Friday were Russia’s first 5th generation fighter jet PAK FA (T-50), world’s biggest passenger aircraft Airbus A-380, and Russia’s new Sukhoi Superjet passenger plane. The next-gen passenger carriers toughed out the poor visibility and performed well, albeit for reduced audiences. A display by Russia’s first 5th generation fighter was cut short when a technical failure forced the pilot to make an emergency landing shortly after take-off. A flash was registered close to the engines during the ascent which forced the pilot to let out the parachute brake and turn back to the airstrip. The failure is thought to have been triggered by the wet weather. 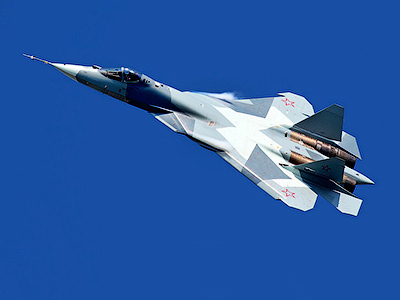 Two PAK FA prototypes successfully performed their first public demonstration flight on Wednesday. The flight program was brought to an early halt due to low cloud and poor visibility. 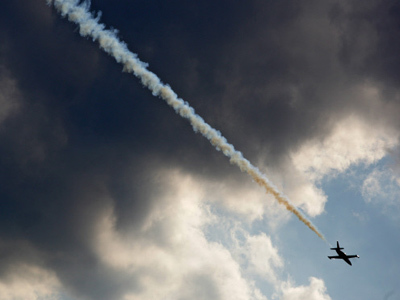 Fewer than 30 flights took off, instead of the 75 planned for Friday’s grand finale. However, visitors managed to see the pearls of Russian aviation – the aerobatic manoeuvres of the Knights, the Swifts and the Falcons. 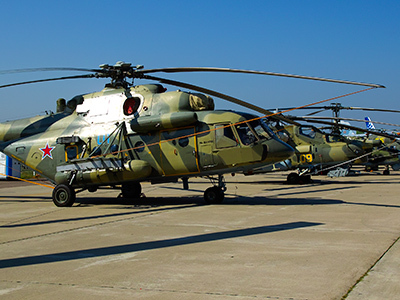 The MAKS-2011 aviation show was attended by 440,000 people, including 55,000 on the final day, the Itar Tass news agency reported. The value of contracts and deals signed during the show topped $10 billion, a jump from last year’s haul.